– It allows copying a link directly from Google’s result page (otherwise you need to open the link, then copy it in the browser’s bar). – In some countries, Google can be very slow so not only you have to wait a long time for the search page to load, but you then have to wait for Google to do its redirection. This script makes Google slightly faster by skipping this unnecessary step. // @description   Convert the redirection links in Google's search results to direct links. Script has been updated so that full URLs are not required (thanks to anonymous in the comments). I recently tried to integrate a WordPress blog into a Kohana application, and it turned out to be relatively easy. The method that follows was implemented with Kohana but the same principles can be applied to any other PHP frameworks. When integrating WordPress, what you really need most of the time is to style the blog so that it fits within your current website. You usually also want the same header and footer as in the rest of the website. To do so, the idea is to create some API that will allow WordPress to retrieve the header and footer from your application. Then you use the PHP function file_get_contents to import and display this content. Once this is done, you can call “http://yourdomain.com/api/header” to get the header or “http://yourdomain.com/api/footer” to get the footer. Just install WordPress as you would normally do, in any folder at the root of your website (let’s call it “blog” in this example). Go to “/blog/wp-content/themes” and copy and paste the default WordPress theme (twentyeleven for 3.x) into a new folder. Rename the folder to the name of your website. Then go into WordPress’s admin panel and select your new theme. “wrapper-box” is the box where you would normally put the main content in your website. “#blog” will be the div containing WordPress’ content. So just by doing that you should have a working WordPress blog. The main problem however is that by replacing the header you are going to lose WordPress styling. So the next section will explain how to get it back. In Kohana, modify the header template to load a style file specific for the blog (maybe disable or enable the style depending on the current URL). Don’t directly link to the theme’s style.css but rather create a new empty file (let’s call it “blog.css”). The best way is to start with an empty file and progressively add to it. Add back WordPress’s style to “blog.css” by copying and pasting from the original theme’s “style.css”. There are some sections of the CSS file that are safe to copy and paste completely – Menu, Content, Images, Images Border, etc. Usually it’s clear from the name that the style is not going to cause any problem. Avoid the section titled “Global” or “Header” as they may change things site-wide and thus break the header, footer or other elements. Your might want to customize the CSS further to either remove some elements or change the margins to make it matches your website. I’ve just released my new Chinese flashcard application – Easy Hanzi. 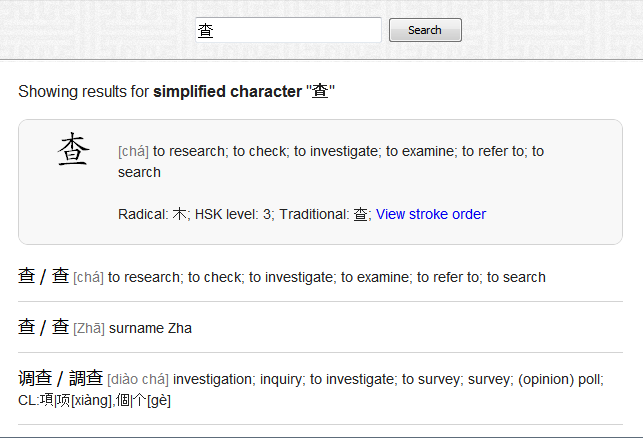 The software has most of the features one might expect from a Chinese flashcard application, including a spaced repetition algorithm, support for both simplified and traditional Chinese characters, and it is shipped with a few lists of most common Chinese characters. It features an easy-to-use interface to create and manage decks of cards. Finally, during practice sessions, the cards are displayed on a large area to make it easier to identify the various character strokes. 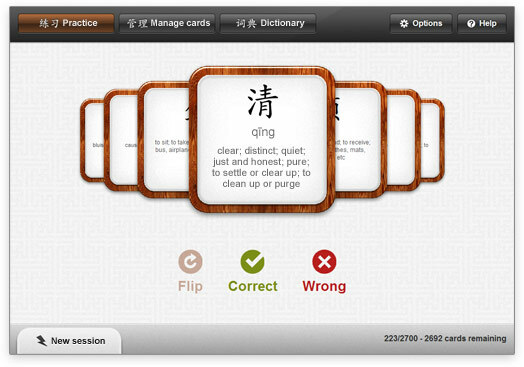 Easy Hanzi, the Chinese flashcard application. Qt 4 provides a powerful model / view pattern to display custom data in various views – QListView, QTableView, etc. The problem is that the documentation for model/view programming is massive and it’s difficult to find simple examples on how to create custom models, custom views, etc. So below is a simple example on how to create a custom model for a QListView. The model takes a std::vector of custom objects, and provides all the necessary methods. I’ve only included the minimal code so that you can get something working quickly, but of course the model can be further customized (see QAbstractListModel reference for instance).